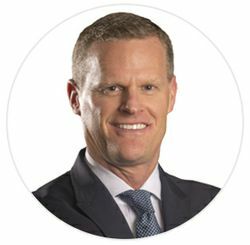 Rick Hasselbeck is the Chief Commercial Officer of GE Appliances, a Haier company, and is part of the GE Appliances Executive Council. He is responsible for end-to-end commercial mechanisms and future strategic growth opportunities, FirstBuild, and for driving business growth and value objectives. In his previous role as Chief Marketing Officer at GE Appliances, he was responsible for leading the development and execution of all marketing activities, including brand, consumer/market insights, industrial design, CRM/digital commerce, pricing and promotions, marketing communications/advertising, merchandising, and training. Before GE Appliances, Rick was General Manager, North America Cosmetics and Global Franchise Leader for COVERGIRL, a Procter & Gamble business, which was acquired by Coty. With responsibility for COVERGIRL P&L, Rick led the transformation of the iconic brand through new, innovative marketing approaches, refocused brand positioning and made significant operational improvements that resulted in dramatically improved productivity and profitability. His tenure at P&G spanned 19 years and included positions of increasing responsibility in brand management and marketing, both in the U.S. and globally. Prior to P&G, from 1991 to 1993, Rick worked at Martin Marietta and Robbins & Myers in operations as a Process Engineer and Project Manager before becoming a Senior Technical Sales Engineer, roles that drew on his education as a chemical engineer and helped build his expertise as a problem-solver and his understanding of customer needs and expectations. Rick graduated from the University of Kentucky with a Bachelor of Science degree in Chemical Engineering and an MBA from Indiana University. He resides in Louisville, Kentucky.